← What toys are generally dangerous for our children? 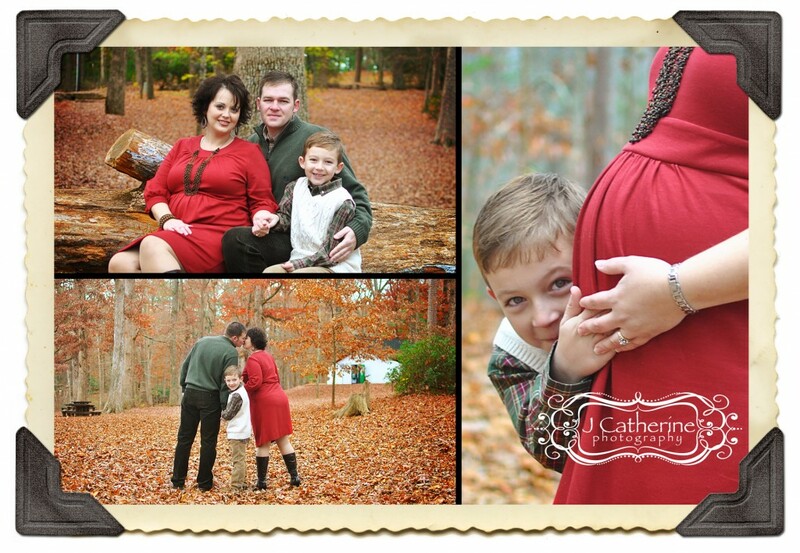 A friend of mine just shared a really cute Christmas family portrait sessions with me. It reminded me of being pregnant during the holidays. I started scouring the internet looking for the cutest maternity pictures I’ve ever seen. I could have picked a 100 but I narrowed it down to the top 10. I was happy enough to get this list narrowed down to 10 after looking at probably 1,000 of these things. I plan on doing this every year about this time. At the end of this page their will be a place to vote on your favorite photo. The winner will win the “People’s choice award for Christmas Maternity Photography” as long as their is at least 100 total votes in the survey. 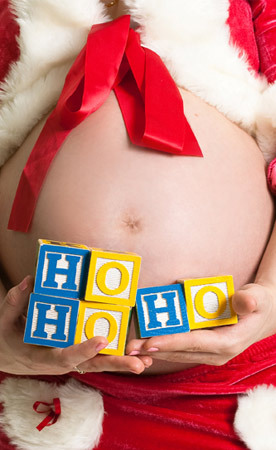 This is my first annual Top 10 Christmas Maternity Photos in North America for 2010. If you want to be entered or considered for next year please send me your photo by 12/8/2011 for next years contest at babynoises (at) gmail (dot) com. The first 10 photography submissions for the 2011 award are free, after that the cost will be $20 per photo submitted. Hope you enjoy and the photos put a smile on your face. 10. Jennifer Catherine with J Catherine Photography from Greenville, SC took this great Christmas family portrait. It’s always good to include the other child in the portrait with your baby bump. 9.Trisha Faber over at Faber Photography took this stunning Christmas maternity photo including the ultrasound of the new baby, Evan. 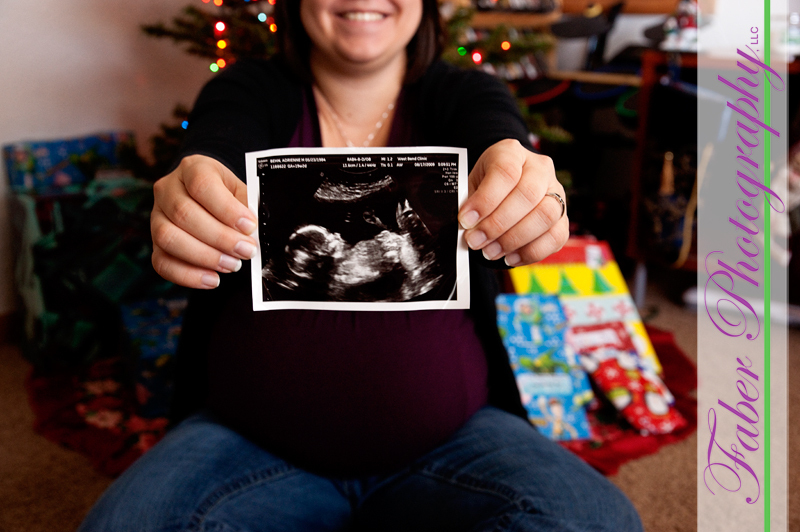 We all know how proud moms can be of their ultrasound photos and what a great way to capture it. 8. Jacqueline Stetson took this cute image of a pregnant mom with her young daughter sticking her tongue out. Really captures the playfulness of the family I’m sure. 7. Madchen Studios took this wintery wonderland maternity photo from Alberta, Canada. I love the sincerity of the husband as he rubs his wife’s belly. 6. Julie Stephens at Calotype Photography from Joplin, Missouri took this endearing image of a couple’s first Christmas while with child. I remember my first one, nothing as precious as knowing the next Christmas their will be 3 in the family instead of just the two of you. 5. Heather & Lindsay are photographers based out of London & Toronto, Ontario for HRM Photography. This festive holiday portrait captures a mother making a snow angel. This mom must be cold, but she sure doesn’t look like it. 4. Melissa Vandermause from Galleria Vivid Photography from Connecticut took this head turning portrait of a beautiful pregnant belly over at Hillstead museum in Farmington. The lighting, colors, and composition just jump from the page. 3. Lucy Literna with Lucy Literna Photography from Toronto, Ontario capture this one. You can feel her commercial photography background has a positive influence on her maternity portraits. 2.Shey Marin of Shey Marin Photography from made sure to capture her own special Christmas baby moment. Trust me, photographers have very high standards when it comes to photography of themselves. 1. I saved my favorite one for last. Of course at the end of this blog you can all vote for your favorite from the above 10. Dolly of Dolly G Photography from Massachusetts took this “Hands shaped like a heart” photo. It captures the closeness of the couple and the love for their unborn child in a perfectly composed photograph. Feel free to vote for you favorite so we can award the photographer the “People’s choice award for Christmas Maternity Photography” for 2010. Please vote below. If you want to link to these amazing photographs or proudly display that you were featured as one of the top 10 Christmas Maternity portraits feel free to use our badge and just link to this page. Voting ends on 12/31/2010. This entry was posted in Maternity Photography and tagged christmas maternity, christmas photography, maternity photography, maternity photography awards, maternity portrait ideas, maternity portraits, People's choice award for Christ maternity photography. Bookmark the permalink. Awesome pictures by JCatherine Photography. Love the mom doing a snow angel from HRM photography, never seen one like this before!! So cute!! Michelle, my husband liked the snow angel photo the best, really captures the joy of a mother and excitement for her unborn child!! I love that you made a website for these! My belly is number 1! 🙂 I loved the maternity pictures that Dolly did!! My daughter just turned 1 so it was great to see this picture posted and hear about this website on her birthday!! Glad Dolly took a picture of you too 🙂 your lucite definitely seems to be to peoples favorite. Only 14 more days before the winner will be announced, can’t wait to see who wins! Congrats on your baby turning one and have a Merry Christmas Erin! Hello, sincerely my favorit is number 7, why? The love with my husband and baby is the most important in my like.